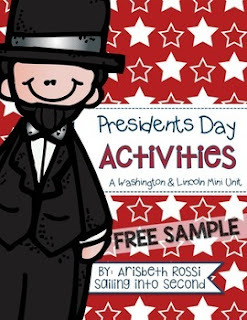 Here are a few fun activities to use on Presidents Day for Abraham Lincoln and George Washington! This freebie includes graphic organizers and writing activities. Enjoy! If you like what you see, please click HERE to get the complete Presidents Day Unit!